Please join us on July 10th from 6:00-8:00pm for the opening reception of the Summer Graduating BFA Exhibition! 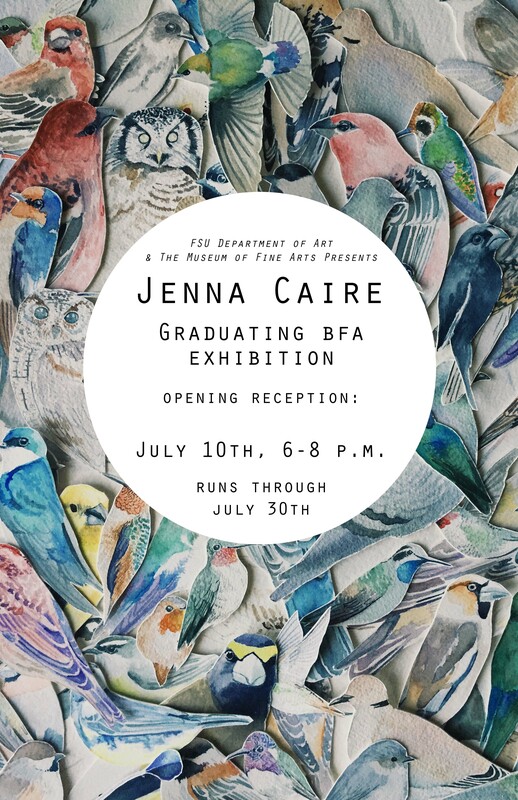 As part of the BFA degree requirement, this exhibition will feature the most recent works of the Summer of 2015 BFA graduating class. This exhibition will run from July 10th through July 30th. For more information about the BFA please click here. For more information about hours, location, and parking please click here.